Display products easily in different sliders to draw attention to products you want. Different types of carousels available: Categories, New and Featured products, Bestsellers and Items on sale. 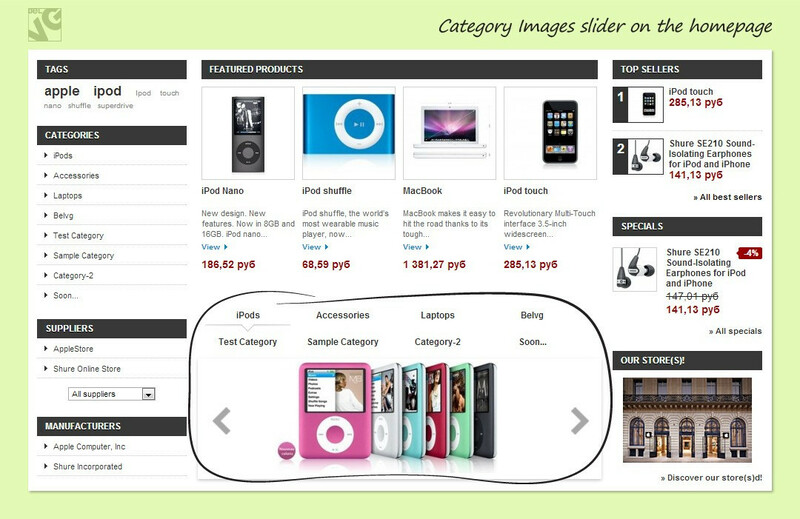 Every item or category in the slider has link to the respective product or category page. 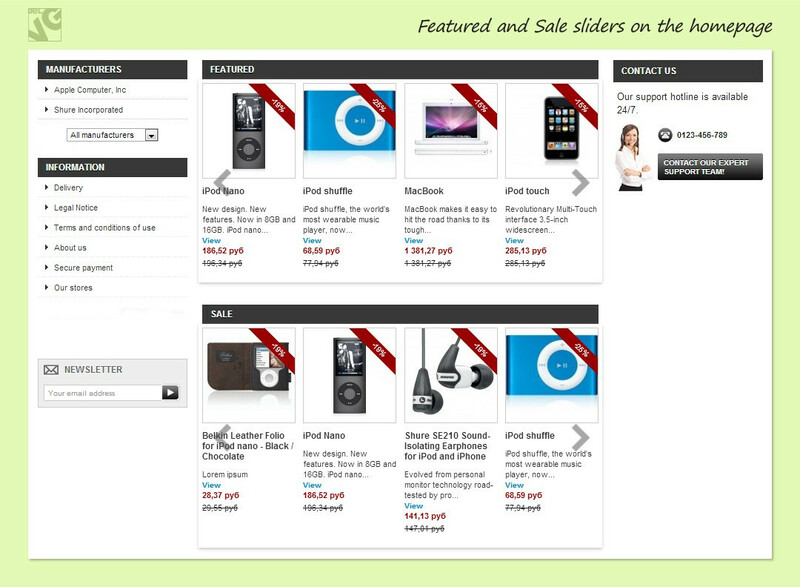 Prestashop Home Carousel allows you to draw attention of your potential customers to your products. One of the main design trends in internet stores, homepage sliders is a tried and effective way to increase sales, not to mention site’s improved usability. 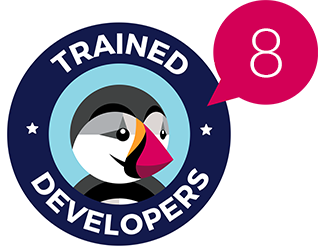 The module has several sliders to choose from and add to the homepage: Categories, New and Featured products, Bestsellers and Items on sale. 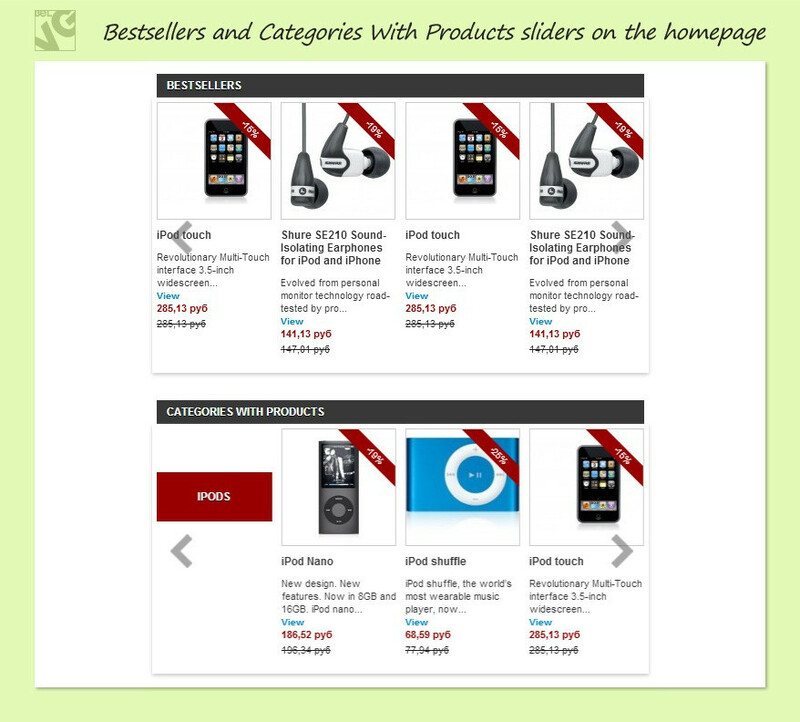 Products are added to the New, Featured and Bestselling sliders automatically. 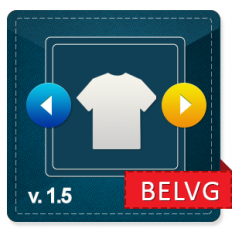 You may select one carousel or many sliders to be displayed at once.